Cover Reveal: SONG OF WAR! It’s cover reveal time for SONG OF WAR! Isn’t she a beauty?! The novel goes on sale October 18th, but it’s available for pre-order at both Amazon and Kobo. You can also add it to your to-read shelf at Goodreads! Troy: city of gold, gatekeeper of the east, haven of the god-born and the lucky, a city destined to last a thousand years. But the Fates have other plans—the Fates, and a woman named Helen. In the shadow of Troy’s gates, all must be reborn in the greatest war of the ancient world: slaves and queens, heroes and cowards, seers and kings . . . and these are their stories. A young princess and an embittered prince join forces to prevent a fatal elopement. A tormented seeress challenges the gods themselves to save her city from the impending disaster. A tragedy-haunted king battles private demons and envious rivals as the siege grinds on. A captured slave girl seizes the reins of her future as two mighty heroes meet in an epic duel. A grizzled archer and a desperate Amazon risk their lives to avenge their dead. A trickster conceives the greatest trick of all. A goddess’ son battles to save the spirit of Troy even as the walls are breached in fire and blood. 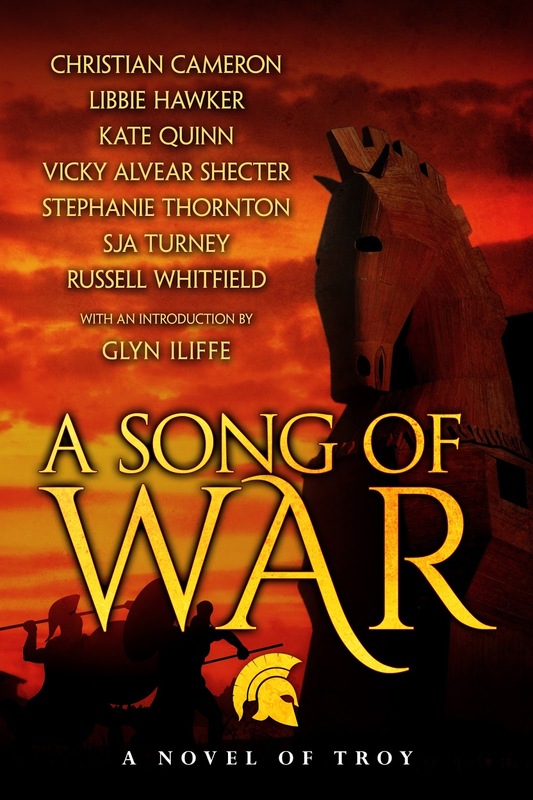 Seven authors bring to life the epic tale of the Trojan War: its heroes, its villains, its survivors, its dead. Who will lie forgotten in the embers, and who will rise to shape the bloody dawn of a new age? Copyright 2018 Stephanie Marie Thornton | Site by Sweet 'N Spicy Designs. All rights reserved.